"German inspired sour wheat beer. The obvious and domineering acidity of this beer is obtained by letting the unboiled wort go sour for several days. 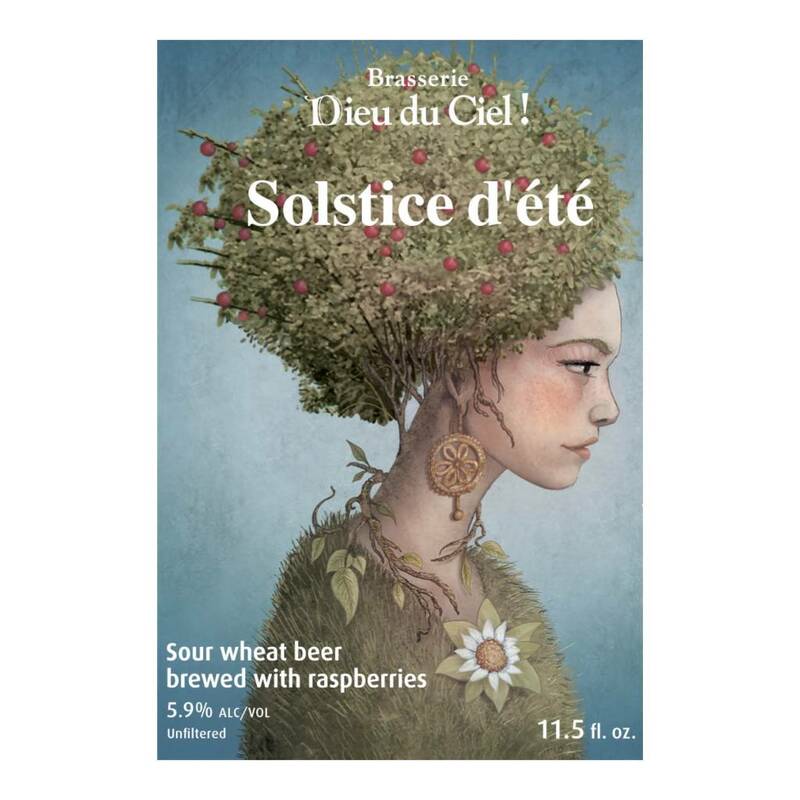 The Solstice d’Été is made complete by the addition, during the fermentation process, of a phenomenal quantity of whole fruit (raspberries or mangos or cherries) which compensate for the sourness of the beer. 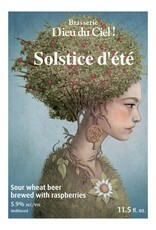 The result is a very refreshing beer where both acidity and fruity flavours dominate wholeheartedly."